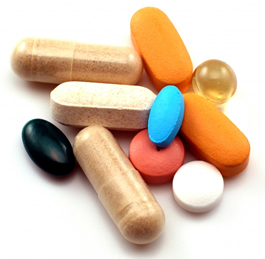 One of the top questions I get asked is “What supplements should I really take? There are so many supplements available and the thought of where to start can definitely be overwhelming. Keeping with my philosophy of “foundational and fundamental health” I will explain where you need to begin and set you up for future success. My simple approach is to start building your supplement program from the bottom up. In order to build a stronger and healthier you, we need to dig a deep foundation and/or make sure your “house” is built on Rock (not sand). If a storm comes along and your “house” is built on a week foundation (sand), it will be washed away. Too often, I meet people who are taking an abundance of supplements and don’t even remember why they are taking them. If you have been involved in natural health for several years, you probably have an arsenal of supplements stashed somewhere in your home. The list of what you take slowly increases as you learn of the “newest, latest, greatest” supplement. Out of paranoia or to “keep up with the Jones’” we add another pill to our daily regimen. After several years, we end up with 10-20 bottles of supplements and still haven’t achieved the health we are so desperately seeking. Why? You built your house on sand and not a strong foundation. Taking supplements just because we hear they are “good for you” is not where you need to begin. The following program is a revised version of my Step 1 of building a healthier you. This is the Rock you need to build your house on. As far as I am concerned, these supplements are non-negotiable AND should be used by everyone, regardless of age or health. The reasons are endless as to why we need a multivitamin: Foods are often low in nutrients for many reason; they may be picked before ripening, ravaged by pesticides, a victim of over–farming, etc. I asked a guest on my radio program what nutrient he thought was the most important to take. His answer was “the one you are missing”. This is an awesome example of why we need to take a good multivitamin. A multivitamin won’t eliminate your health challenge, but taking a multivitamin may prevent one. Science continues to prove that prolonged nutrient depletion leads to disease. I recently learned of a family member who lived a relatively healthy lifestyle developed a rare form of lung cancer. After further review, we found out he was significantly deficient in vitamin D. I am not saying that Vitamin D deficiency was the root cause (we will never know), but perhaps if he had been taking a multivitamin with D3 in it over the past 25 years, he may not of developed lung cancer. Taking a multivitamin may be the biggest thing you can do to prevent disease(s) from entering your body. Your multivitamin should contain a little bit of everything to help make up for what might be “missing” in your daily diet. When it comes to what type of multivitamin to take, I prefer cultured/whole food vitamins. I prefer whole food nutrients because our bodies are designed to get our nutrients from food-NOT crushed rock or synthesized in a laboratory. If we were designed to get our nutrients this way, then we would be outside nibbling on the sidewalk to get our calcium (limestone is calcium carbonate). When we get our nutrients from a food source, they are better digested (reduced indigestion), better absorbed (get into your bloodstream better) and better utilized (the body doesn’t have to figure out what it is because it is already in the form it needs to be) by the body. The next best thing to whole food is natural. Nutrients obtained from the natural (plant-source in most cases) are another great way to supplement your everyday diet. Science has shown us for years that natural vitamins are a much better alternative to synthetic. Again, natural nutrients are more easily digested, absorbed and utilized by the body than their synthetic counterparts. The key point here is that we ALL need to use a multivitamin, whether it is whole food or natural, just take one! In addition to using a whole food multi, you should also use one that is designed for who you are: men use a man’s vitamin; women use a woman’s vitamin. One size does not fit all when it comes to multivitamins. The nutritional needs of a woman are different than that of a man. We can get (and should) more specific and buy a multivitamin for our age too. The nutritional needs of a woman who has gone thru menopause are different than one who hasn’t. (Post-menopausal women usually don’t require iron in their supplement whereas a woman who still has a monthly period does). My nutritional (53-year old male) are different than my 21-year old son. Why would we want to take the same multivitamin? We don’t. Antioxidants– Mix and match-It takes more than one to get the job done. Antioxidants are of major importance at reducing our body’s risk for disease caused by free radical (not a hippie from the 60’s) damage. Free radicals come from many sources. Some are produced by the body as byproducts of natural processes; some come with toxins in our food, air and water. Free radical damage is now linked to most of the major health challenges we face. Free radicals can have a negative impact on any cell in your body: Heart, lung, eye, skin, liver, eye, bone, etc. We use “antioxidants” to help the body neutralize free radicals and hopefully keep us from having to face these health challenges. With regards to picking your antioxidant, I like prefer we use either a blend (all in one bottle) antioxidant or buy multiple individual antioxidants. Before you go crazy buying all of the antioxidants known to man, why not start by finding out what the antioxidants are for the health issue you have or don’t want to get. This requires a little homework. You can find books available in most health food stores and/or online to find out what ingredients are good for your situation. Then, find out which of these nutrients are considered antioxidants. Make a list of these antioxidants and then either search for a combination formula that contains a majority of your list or purchase several of these nutrients separately and make your own antioxidant cocktail. For example, it’s widely known that bone & joint health are supported by these antioxidants: turmeric, ginger, cayenne, E, and zinc. If joint flexibility were my special need, I would look for a combination antioxidant formula, which contained as many of these ingredients as possible. In most cases you won’t find a formula that contains each ingredient on your list, but if you can find one that comes close, you are more likely to get the results you want. If you have multiple special needs (health issue you are trying to treat or prevent), I suggest you make a grid like on a piece of paper to find out what antioxidants are common to your health challenges. The homework part of this is to first research your health challenge and make the grid. Then, you need to play “spin the bottle” (not the game from when you were a child). In other words, you need to read the supplement facts panel on the side or back of the bottles and see which product meets or exceeds your needs. Omega-3s are also referred to as EFAs (Essential Fatty Acids). They are called essential because your body cannot make them and therefore they need to come from the diet. I believe that the fish source is the best. Fish oil is high in both EPA and DHA, which science has shown have therapeutic benefits in areas including: rheumatoid arthritis, high blood triglycerides, high blood pressure, cardiac arrhythmia, infant brain development, and cancer the list is endless! It is because of benefits with these health challenges that I am including them in my foundational health program. I used to preach just take marine sourced (Krill or Fish), but recently I have changed my tune. I now believe in getting my omega-3s from both marine and plant sources. The omega-3s in krill/fish are different than those found in the plant kingdom. In my home, we use chia seeds to get our ALA (one of the Omega-3s). We sprinkle a scoopful on our salads at night and get 3000mg of Omega-3s in one serving. If I don’t have a salad, I will often sprinkle the seeds (no grinding required) on something else in my meal. Special Note: My reason for this change in position on Omega-3s is due to my own increased knowledge. To truly be healthy, we need to have balance in our life. Focusing only on EPA and DHA may leave my body open to other forms of disease. Incorporating ALA (found only in plant source foods) will assure me (you too) that I won’t be missing something critical for my everyday health. Probiotics are friendly, life–promoting bacteria naturally found in the digestive system. They are there for two reasons, to aid digestion and support your immune system. Without an abundance of these good bacteria, you may expose yourself to diseases caused by parasites, yeast, fungus, and pathogenic bacteria. Even worse, you may become nutrient–deficient which over time can lead to very serious health challenges. Taking a good probiotic will assist your body in putting back friendly bacteria needed to maintain great overall health not just digestive health. Even if you are eating a great diet and taking the best supplements, if you aren’t digesting them fully (aided by probiotics), you are wasting your money. Probiotics are essential in the digestive process. We need these bacteria to breakdown our foods and supplements into the micro-particles necessary for absorption. While we are on the topic of probiotics, make sure you are finding the right one. As silly as it may sound, you need to make sure your probiotic is still “alive”. In fact, the World Health Organization 2001 defines probiotics as live micro-organisms that, “…when administered in adequate amounts, confer a health benefit on the host. Your probiotic needs to survive its trip through your stomach acid or be able do deal with the heat that is created during manufacturing, transportation, storage. Compressing a tabled or adding to a soft gel capsule either generates or involves heat, which can kill most friendly bacteria too. Now that gummy forms are available, this becomes even more important. Look for a plant-based probiotic when possible. One of the reasons plant-based probiotics are more stable is due to the harsh environment they usually originate. Unlike animal sourced probiotics, plant-based are exposed to wide ranges of temperature and moisture which has allowed them to adapt to their environment more easily. This exposure over time has made them more resistant to temperature, acid other environmental factors. One I recently became knowledgeable of is PA5051, which is a new and patented plant based second generation of friendly bacteria. As you can see, there are 4 areas to focus on when building your supplement foundation. Just like in a big construction project, the stronger the foundation, and the better the finished structure. The bigger the building, the deeper and more reinforced the foundation will be. If you want to have the strongest possible body, then you need to focus on building a strong foundation. Keeping my analogy of building a strong foundation, your homebuilder wouldn’t just pour rock in the trench for your home’s foundation. They would use rock, concrete and in some cases rebar. The more we can use to support our structure, the better.